Since 1997, Mynex has been providing managed web, email and co-location hosting for local small- to medium-sized businesses as well as international corporations. Mynex also provides professional services such as PC repair, laptop repair, virus removal, data recovery, consulting, tech support, networking and internet access. We are a small business that takes pride in developing long-term business relationships and in providing all of our customers with a personable IT experience and customer support. 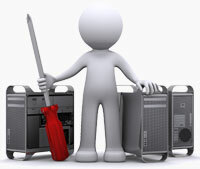 Managed Web Hosting Starting At $9.95 / mo.